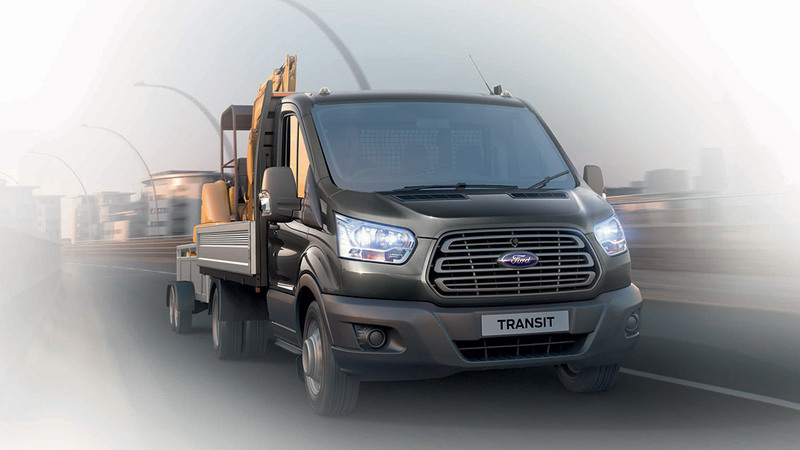 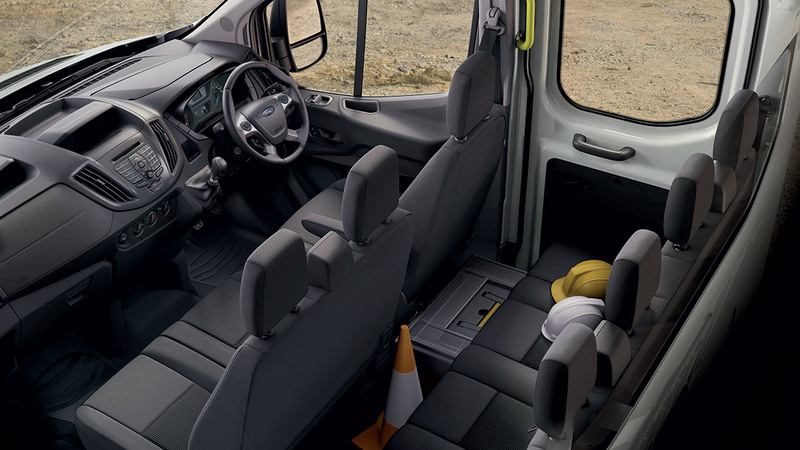 For business who want a quick and simple work-ready solution, Ford offers the Transit One-Stop Shop range of bodied Chassis Cabs. 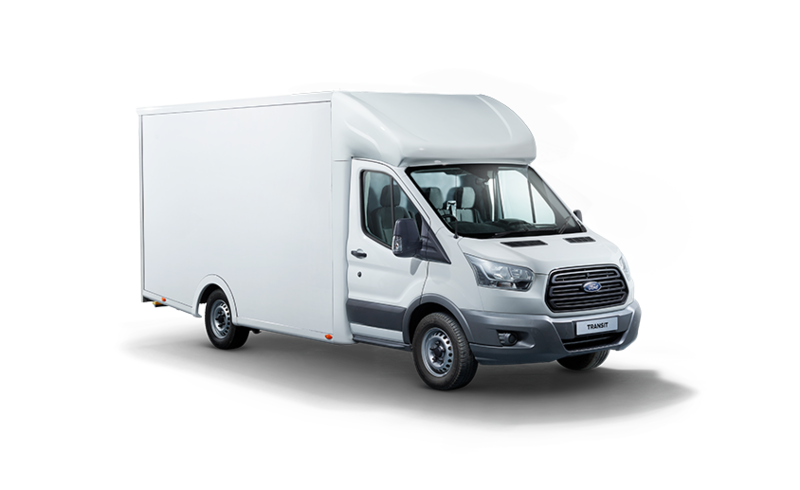 All factory-built One-Stop Shop models are manufactured to our exacting standards and carry a 3 year, 100,00 mile warranty. 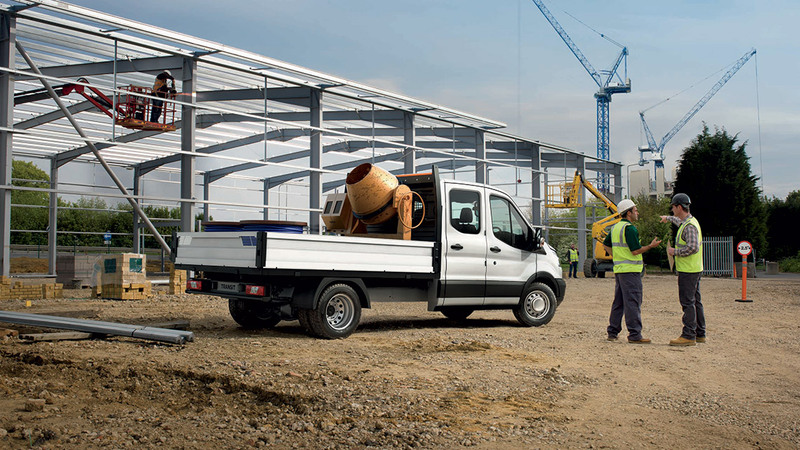 As well as being built tough, the Transit One Stop Shop range are designed to make your working life easier with features such as Bluetooth® and remote radio controls as standard. 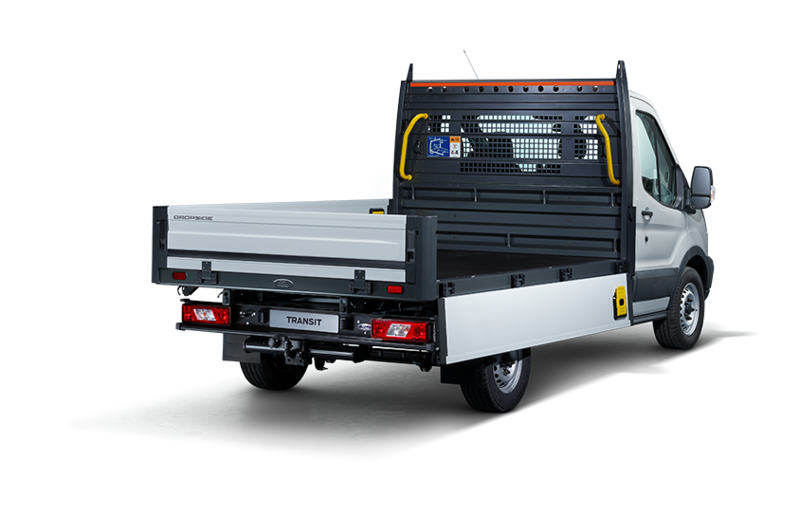 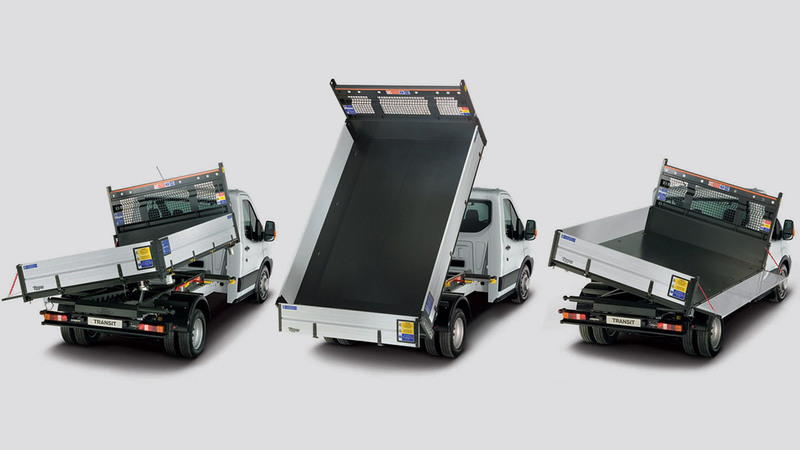 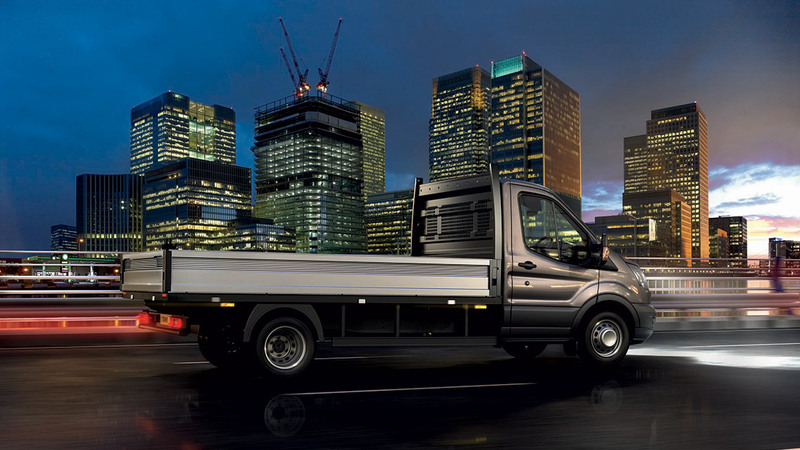 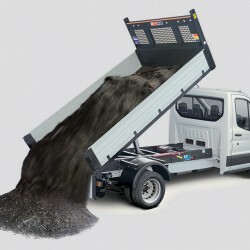 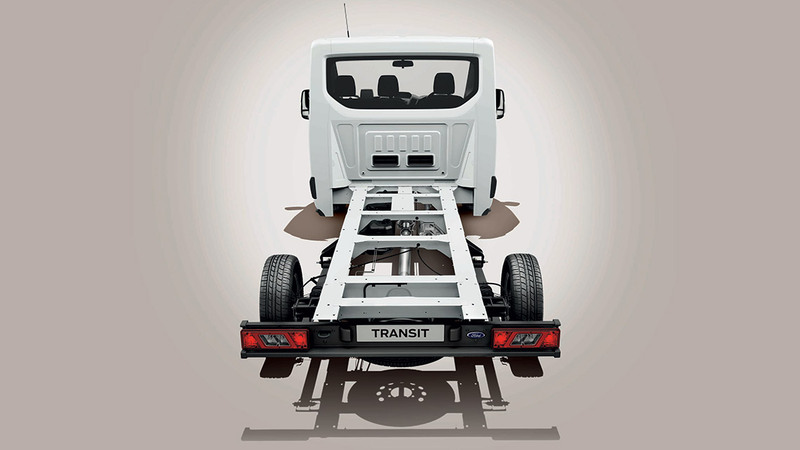 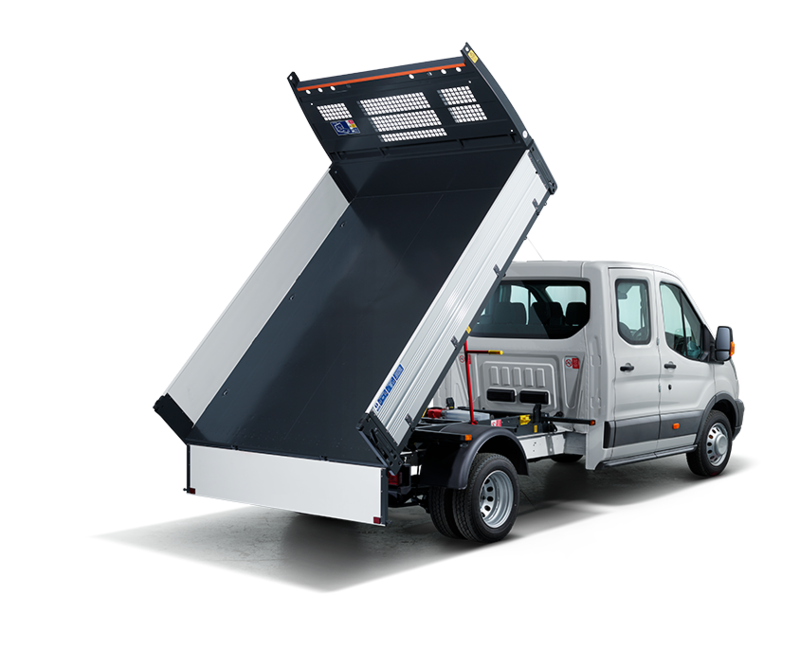 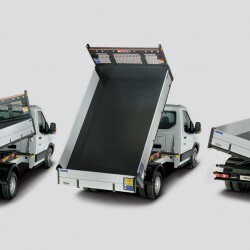 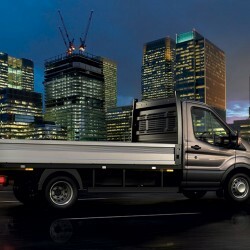 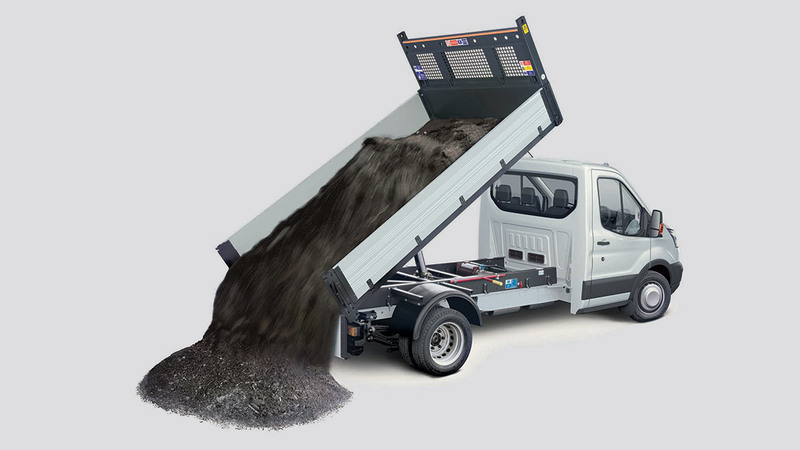 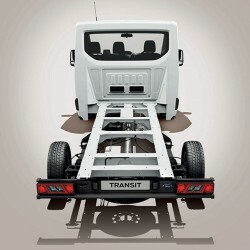 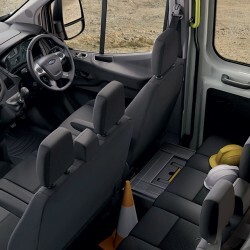 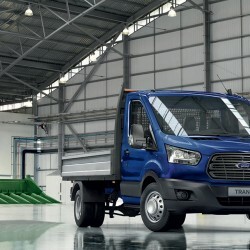 The Ford Transit 3-way Tipper is engineered to the same high standards as the 1-way Tipper, with the added benefit of tipping to both sides of the vehicle, as well as to the rear. 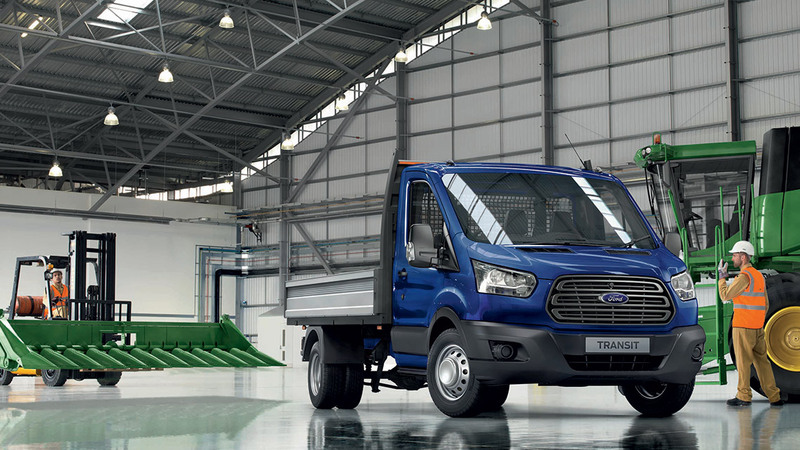 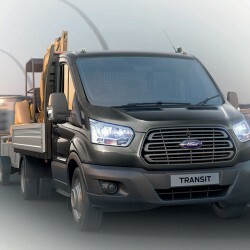 The Ford Transit Dropside is a stylish, easy-to-drive vehicle for operators seeking a cost-effective, yet professional image for their business. 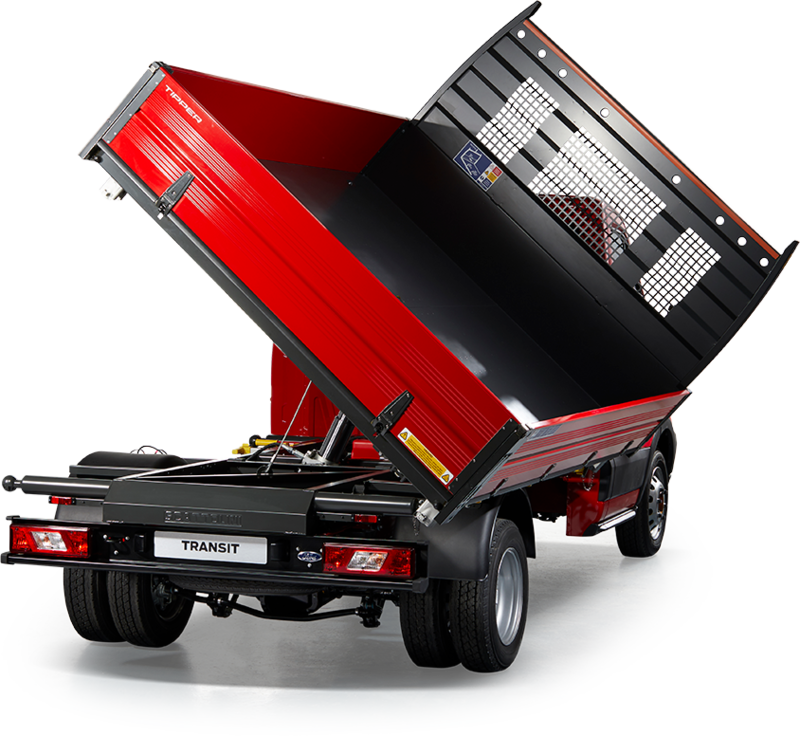 With payloads ranging up to 2,320kg, there is a model to suit most operating needs.